I came home about a week ago to find a little package waiting for me at home, with the Australis latest offering from their Paparazzi Perfect range - the High Definition Concealer and Brightener. 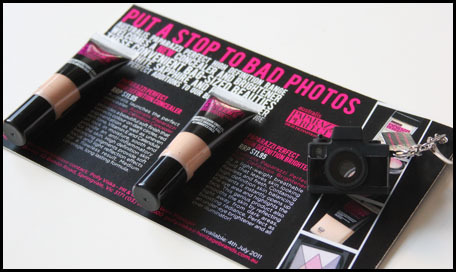 Check out the really cute camera that came along with the products! Anyway I love me some concealer, so I got right on to testing these products out! I like the way these products dispense - very hygienic! Australis Paparazzi Perfect High Definition Concealer provides a soft finish that corrects colour on dark circles, red pigmentation as well as uneven skin tone. Vitamin E and calendula oil lock in moisture, soothe and provide an anti-inflammatory for the skin. High definition skin balancing pigments provide soft focus and light reflection effects for a flawless result. Medium coverage, long lasting formula. Available in Light-Medium and Medium-Dark. 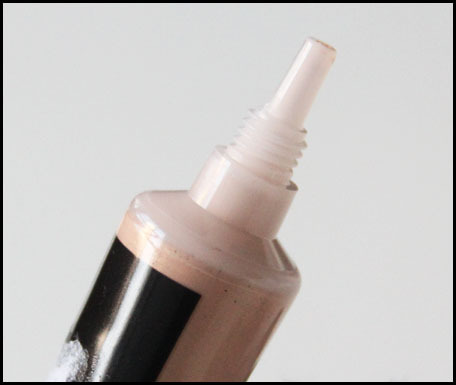 This concealer has a very dewy finish, and has medium pigmentation. I didn't like the fact that the colours were very limited. The colour I got (Light-Medium) was a tad dark for me. Also, I found the coverage a little too light for my scars, as you will see in the photos below. Instantly opens up the eye area and helps fade dark circles. A light weight breathable fluid that leaves skin looking flawless and fresh. Containing light reflecting and balancing pigments, Australis Paparazzi Perfect High Definition Brightener is perfect as an under-eye highlighter and all over illuminator. Available in one colour. This product is very much lighter in consistency compared to the concealer, and does a really good job of reflecting the light. It doesn't reflect the light enough to give you weirdly bright under-eyes, but enough to hide blemishes, which is exactly what it should do! Here are some of the pictures that I took. Unfortunately for me (and fortunately for the sake of this review), I have a little bit of a skin condition going on at the moment, so there were some pimples that needed concealing. 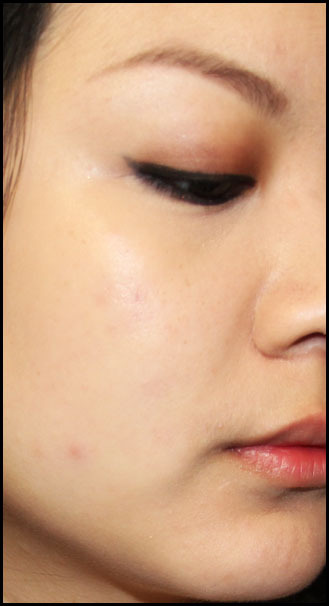 I have used the Bourjois Healthy Mix Concealer as a threshold marker, because I love it so much. By the by, I swear I wasn't angry in the pictures - I'm not sure why I look like I'm frowning! Below is the Bourjois Concealer on the left, and the High Definition Concealer on the right. 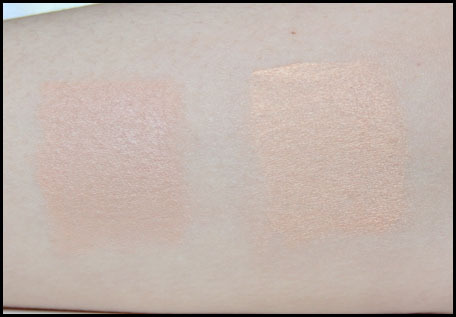 Below is the Bourjois Concealer again on the left, and the High Definition Brightener on the right. Once again, the Bourjois Concealer on the left, and then the High Definition Concealer layered on top of the Brightener, on the right. Overall, what I didn't like was that these products weren't as pigmented as I would have liked, and they have a limited selection of colours. I also didn't like that you have to layer both products to achieve good coverage and finish. 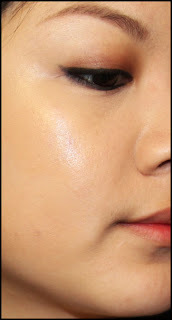 What I liked, was the effect that the Brightener and Concealer gave. Though I probably will continue using my Bourjois concealer, these products are really good together. I love that even after powdering, the effect is still very much dewy, and not at all cakey or powdery. I like that the brightener reflects light just right, and I love that it makes me look so awake in the mornings! These products both retail at AUD 11.95 per tube.